As the BJP gears up for the general elections, their ideological parent Rashtriya Swayamsevak Sangh’s (RSS) economic thinktank, Swadeshi Jagran Manch, passed some resolutions at their national convention at Madurai, which ended on January 20. The resolutions include a push to seek an e-commerce policy, curb cheaper Chinese imports (via digital mode), not to commit on the Regional Comprehensive Economic Partnership (RCEP), work for betterment of farmers and create more opportunities for employment, curb illegal infiltration and an alternative model of economic governance. The SJM leaders felt that in preparation of the budget, the Union Government should not remain fixated with reducing fiscal deficit. The target for this year is to maintain the fiscal deficit at 3.3 per cent of GDP. The SJM leaders opine that additional funds should be used for farmers’ welfare, and not in wasteful expenditure. They expressed concern over the plight to agriculture and the financial condition of farmers. 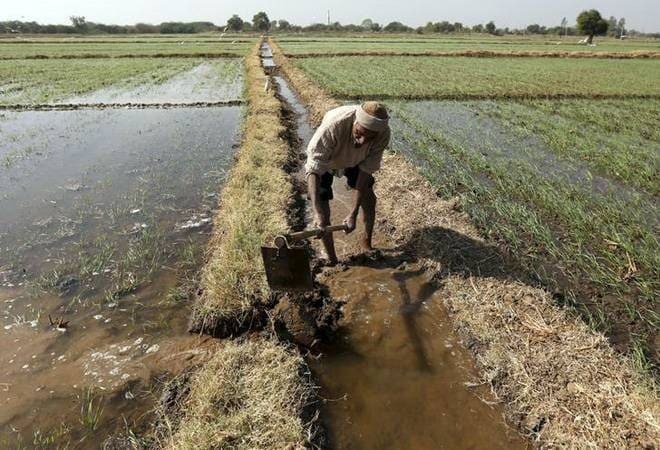 The leaders said that most of them were of the opinion that debt waiver was not a solution, and that the business models around agriculture needed to be overhauled. According to them, the government must play the role of assisting farmers reduce input cost and find appropriate markets. They lauded several of the steps taken by the Narendra Modi-led government, but said that more needs to be done. They also said that government must open up its resources for farmers, but the method should be meaningful. This may allow Finance Minister Arun Jaitley some breathing space, but will pose a challenge for Commerce Minister Suresh Prabhu. Also read:Telangana CM pitches for change in Finance Commission’s functioningthe commerce and industry ministry to not defer the day of implementation from February 1. But SJM is in no mood to discount them. SJM also red flagged the Indian commitment to conclude the negotiations at RCEP. At the recent RCEP Leadership Summit at Singapore, PM Modi expressed his pleasure at significant progress in the negotiations and committed to conclude the negotiations in the next one year. SJM believes that RCEP is a road to disaster and that there are several proposals that are not acceptable to them as well as to other stakeholders. The negotiations in RCEP, which started about six years ago, have seen 24 rounds so far. For a long time, these negotiations were not yielding results and a conclusion was not in sight as the partner countries, including India, have been wary of the fall-out of the proposed agreement. Minister of Commerce Suresh Prabhu needs to do much more to please these leaders, as they want more from him to curb the cheaper imports coming in from neighbouring China via the e-commerce model. In the resolutions, SJM underlined the concerns of MSMEs and suggested measures to prevent entry of Chinese products illegally. The national convention of SJM at Madurai urges the government to immediately halt the illegal practice of deep discounts, foreign currency transactions, illegal activities of Chinese apps and use of dominant position by e-commerce companies, to exploit vendors and other stakeholders. In another resolution passed, SJM sought a more decentralised model of economy. The SJM leaders said that in the past many years, there has been huge loss of employment in the conventional retail trade due to indiscriminate discounting and predatory pricing policies practiced by e-commerce companies working with the foreign investment. These leaders say that the current obsession with FDI oriented services and manufacturing is only pushing the same. They cited the example of e-commerce companies, which follow a ‘cash burning model’. “Despite the fact that the law of the land neither permits foreign investment in e-commerce nor deep discounts, these e-commerce companies continue to circumvent laws, detrimental to the interests of the traders namely small shopkeepers, book sellers, medicine shops, and others,” these leaders resolved. All eyes are on Prabhu’s ministry to see which lobby it will give in to – the e-commerce majors or their ideological parents.